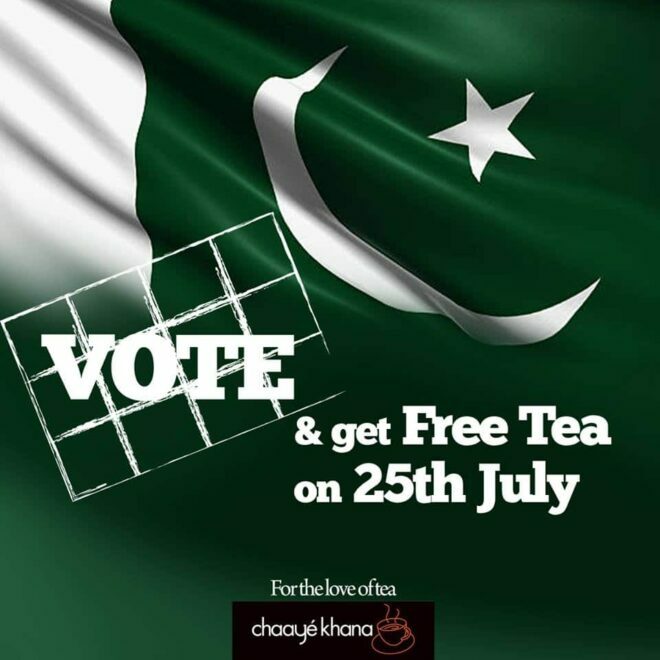 Pakistan is going to the Elections 2018 polls today July 25, 2018. 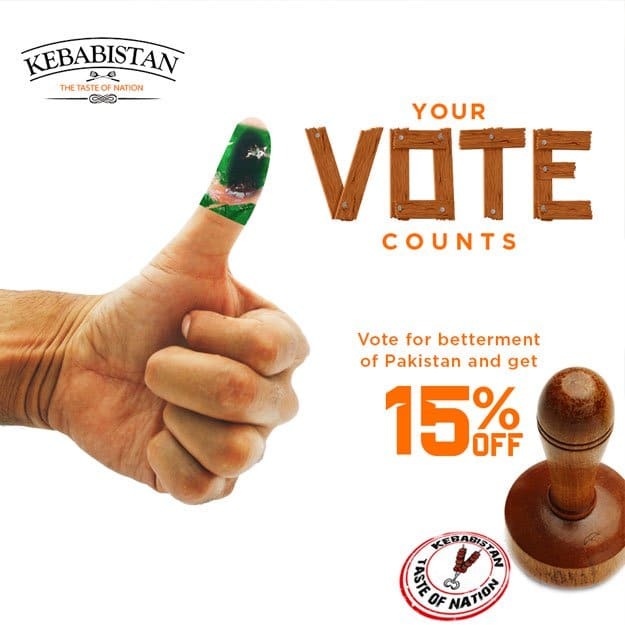 Brands are also hoping to capitalize on the Elections 2018 Fever that’s gripping the whole country right now & offering Elections 2018 discounts for Pakistani voters who do their civic duty & encouraging people to go out and cast a vote. 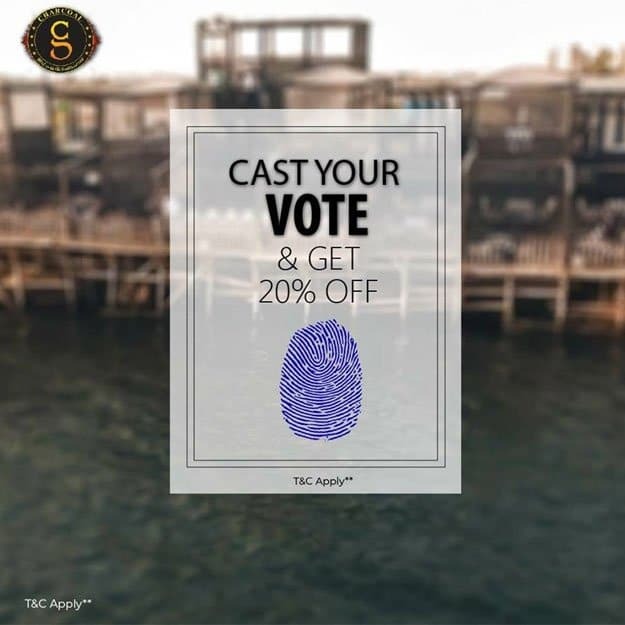 In most cases, it’s as simple as you casting your vote, show up at these places, and show your inked thumb to avail these offers. 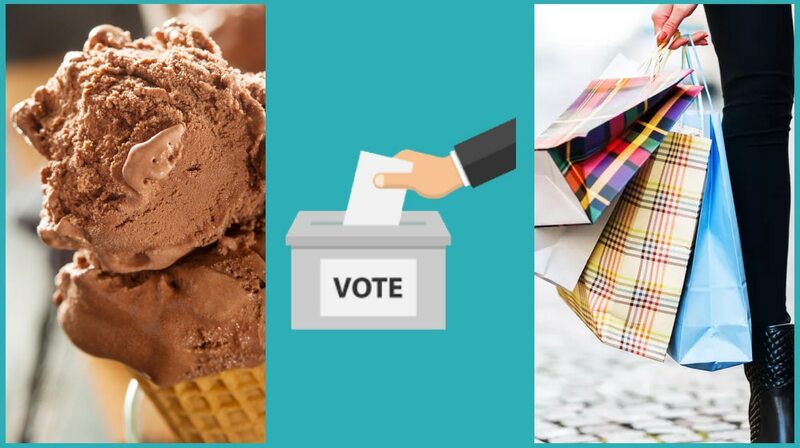 We will be updating the list as more brands reveal their offers. 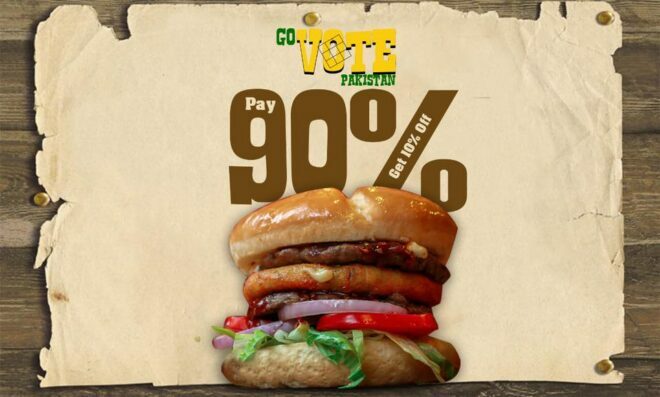 Valid for all outlets across Pakistan except for Johar Town Lahore & Airports on regular sizes. 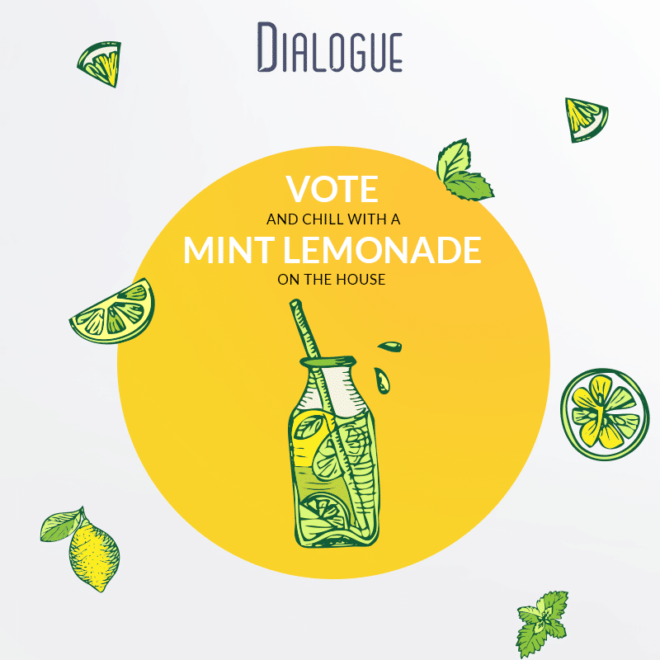 Show us the inky thumb to enjoy UNLIMITED Mint Lemonade on the house. 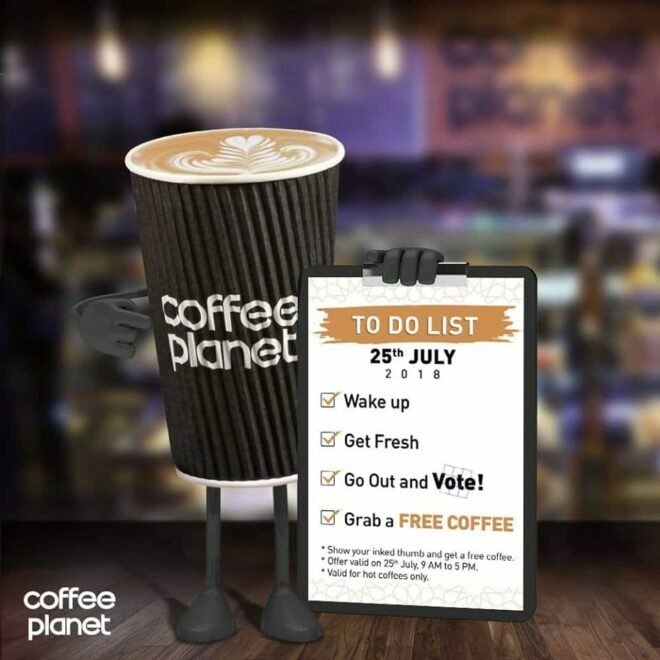 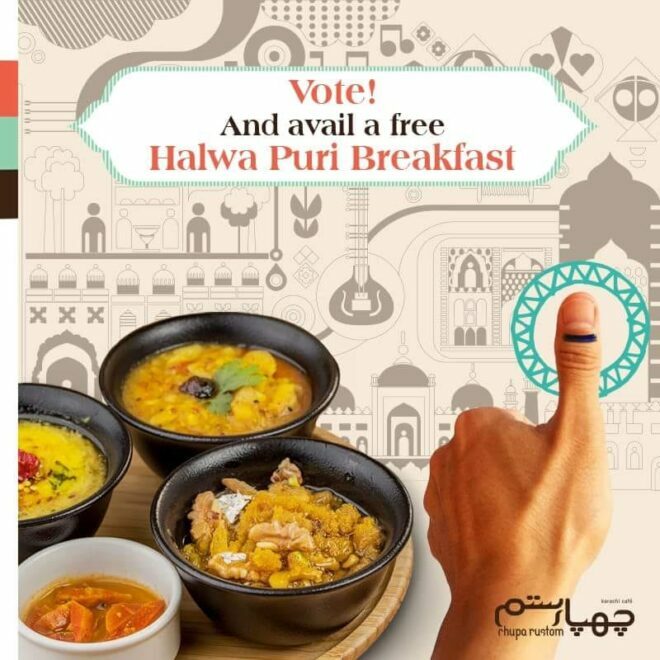 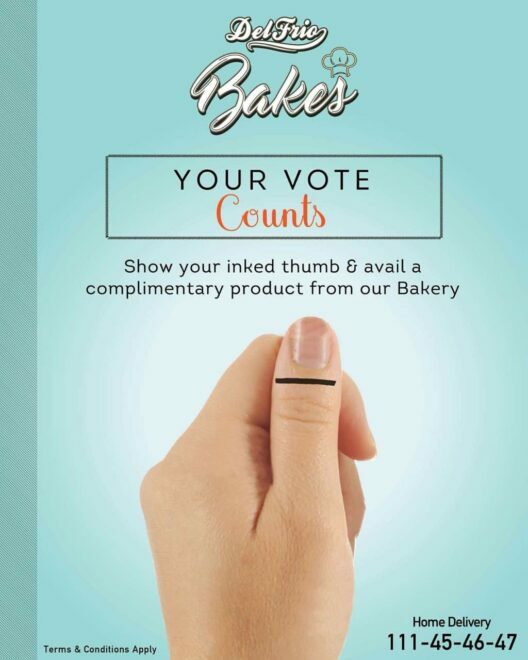 Show your finger inked for a better Pakistan & get a complimentary product from our bakery. 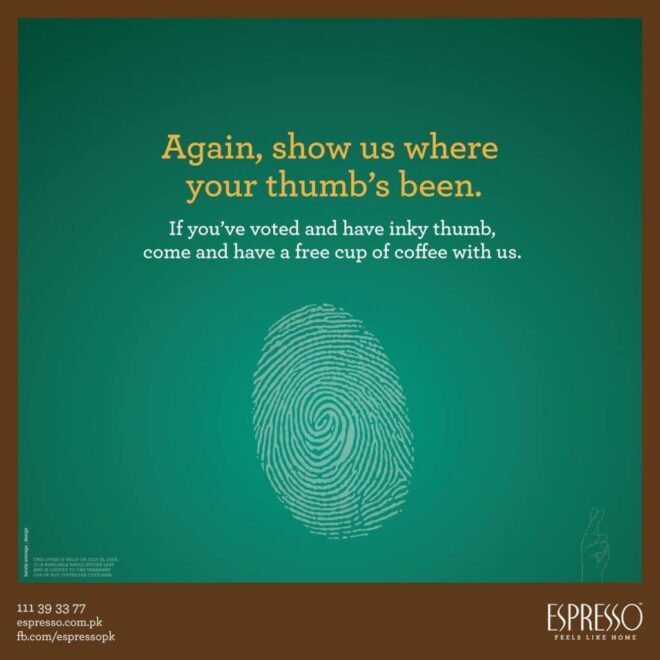 Show us your mark to get our FREE signature drinks! 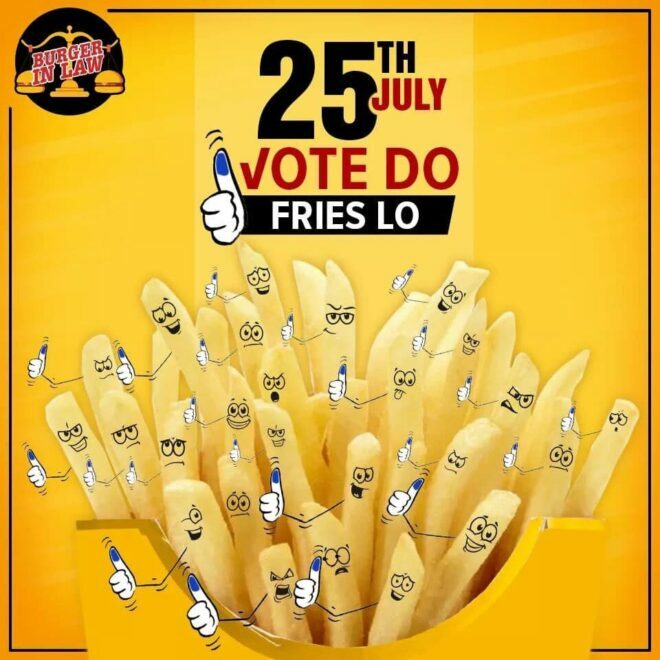 Jitne Rangeen Angoothay, Utne Classic Fries. 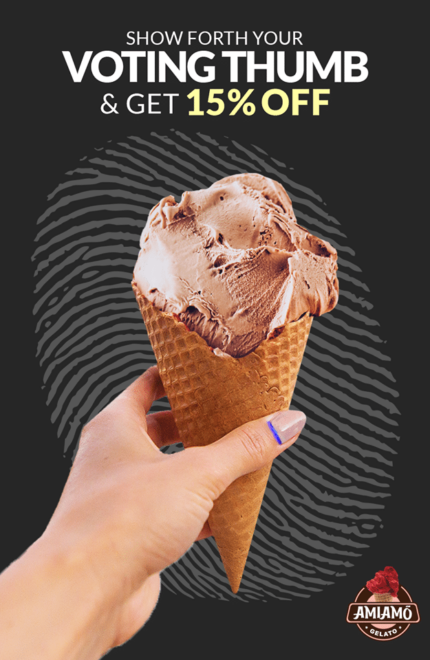 Post a check-in with the secret code: #DEMOCROOKIE and show it to your server. 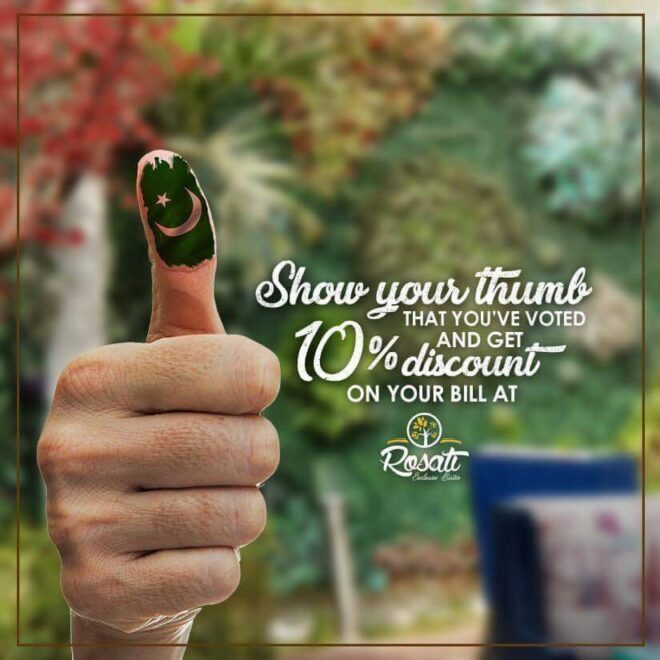 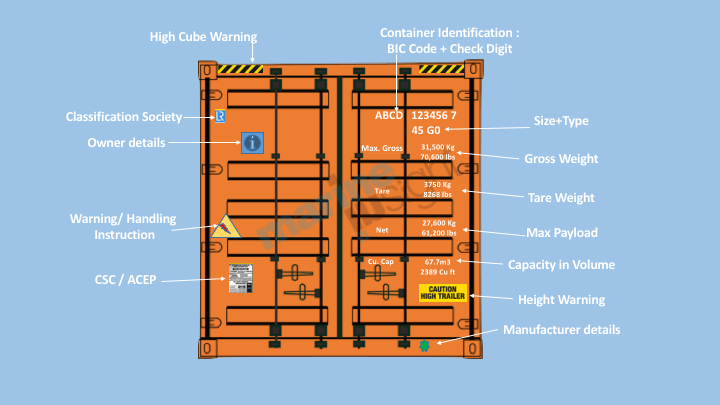 Show us the mark on finger to get 15% exclusive discount. 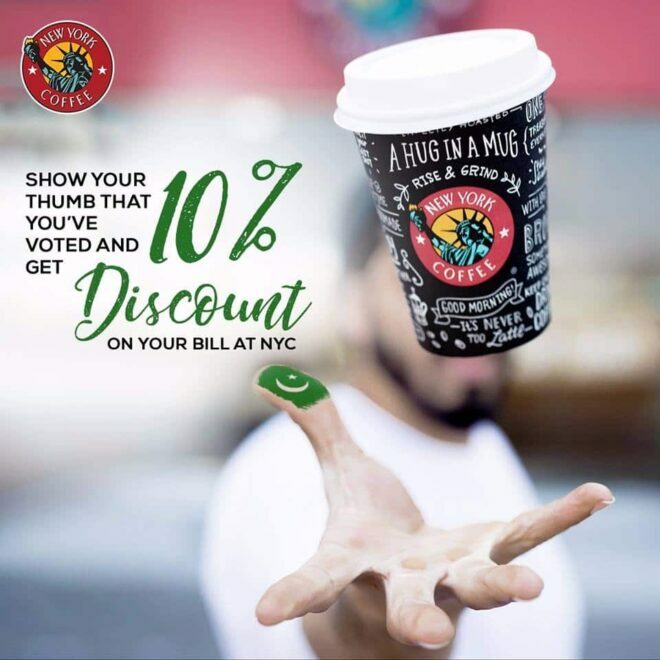 Discount will be on main course. 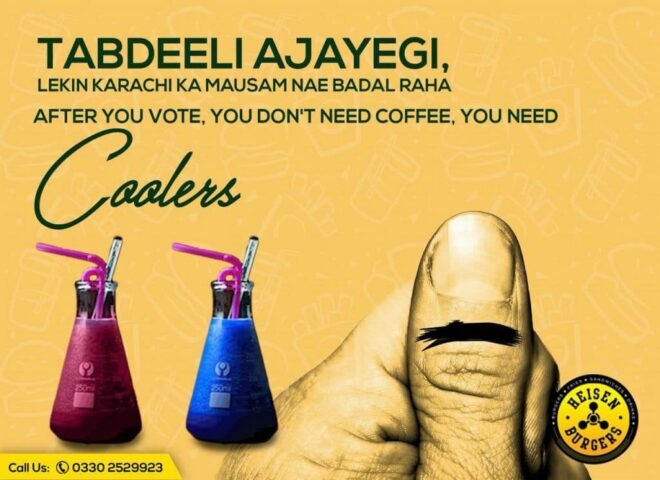 Valid for election day only. 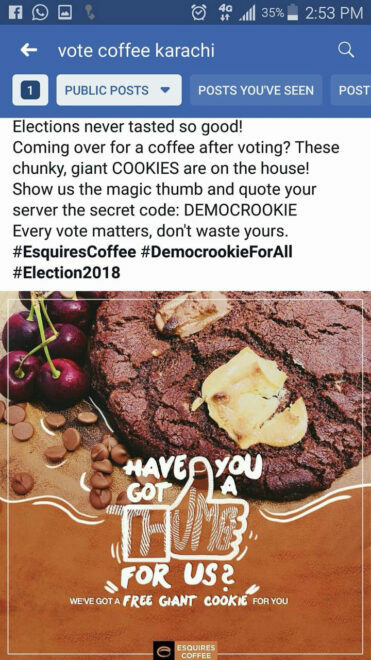 Step out to vote and get a delighting 25% Off treat for your endeavor. 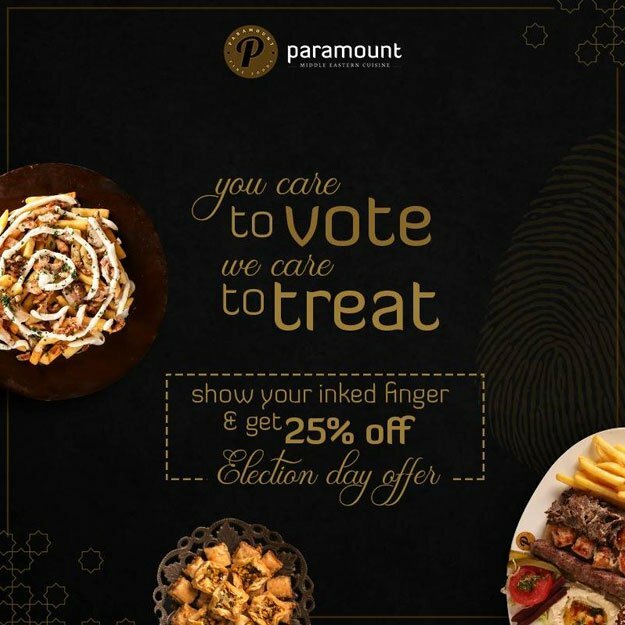 – Offer only valid for Dine-in. 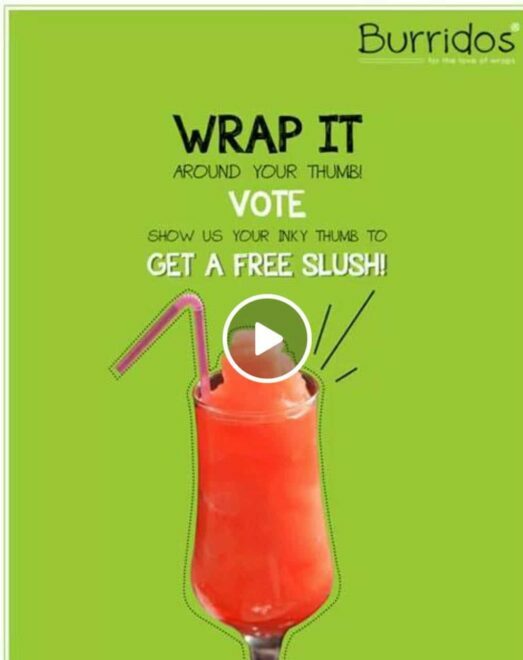 – Available on Seaview and SMCHS branches. 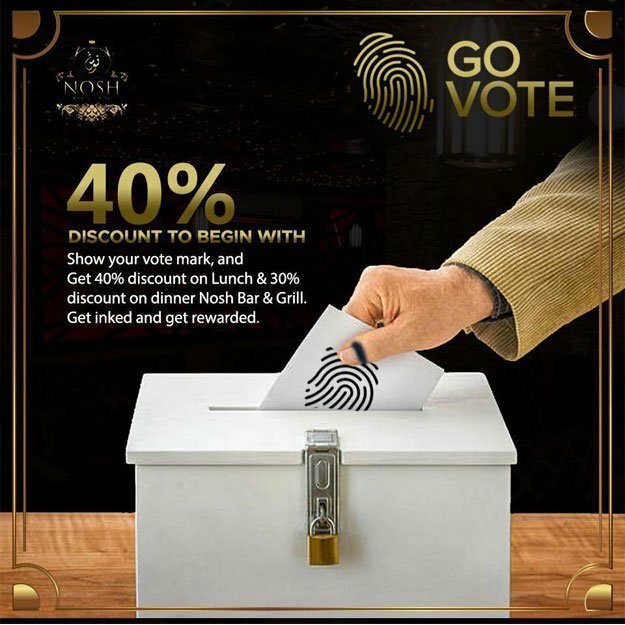 – Discount not valid with any other promotions. 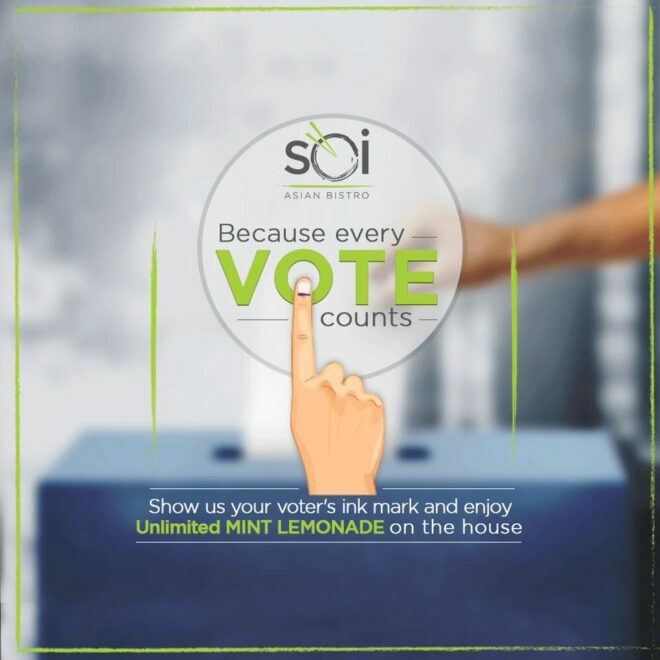 – Show your inked finger to avail the offer. 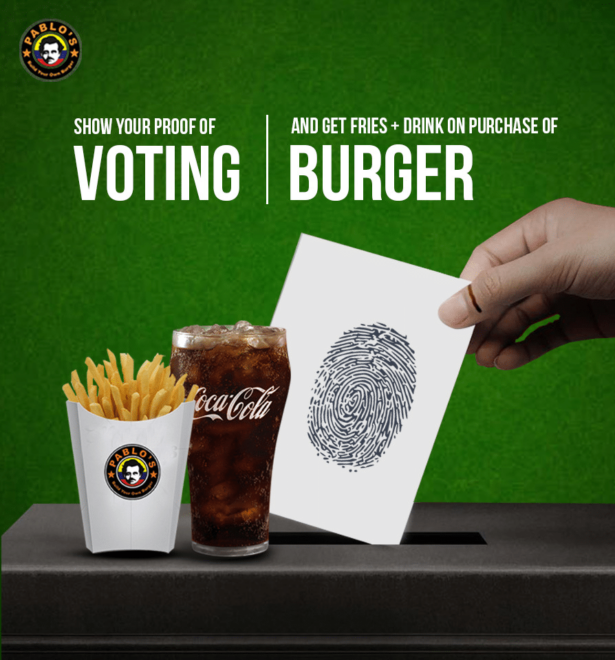 Show your proof of Voting. 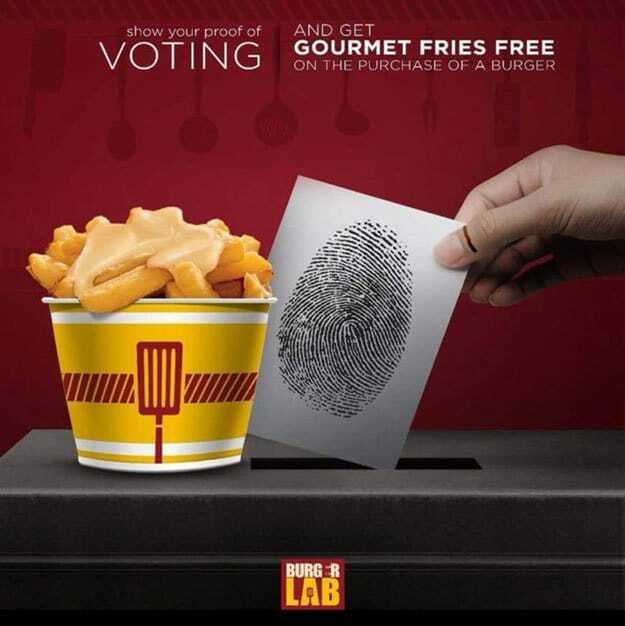 And, get gourmet fries for free on the purchase of any Burger! 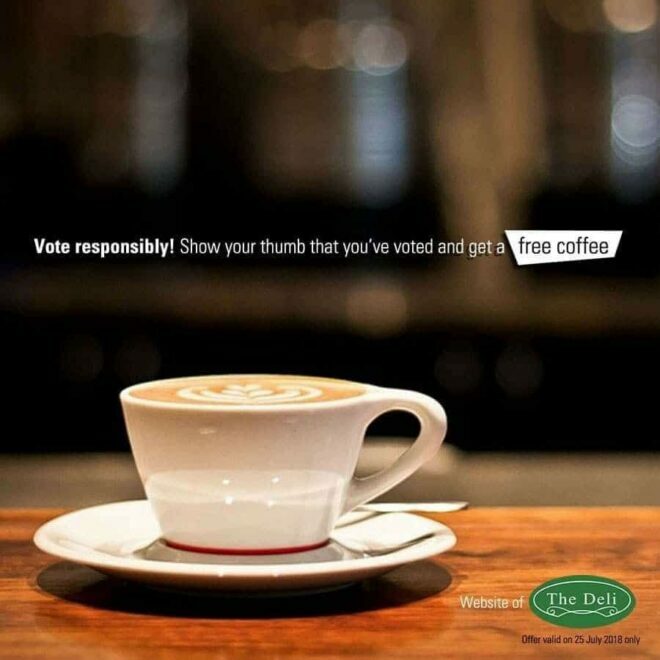 – Applicable on Dine in & Take away only. 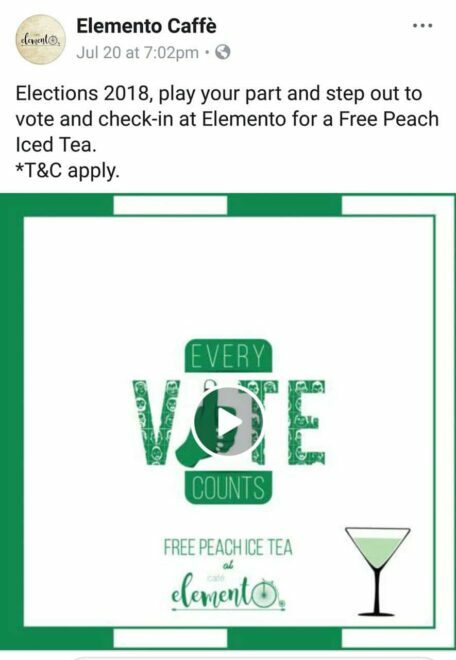 – Valid on 25th of July 2018 only. 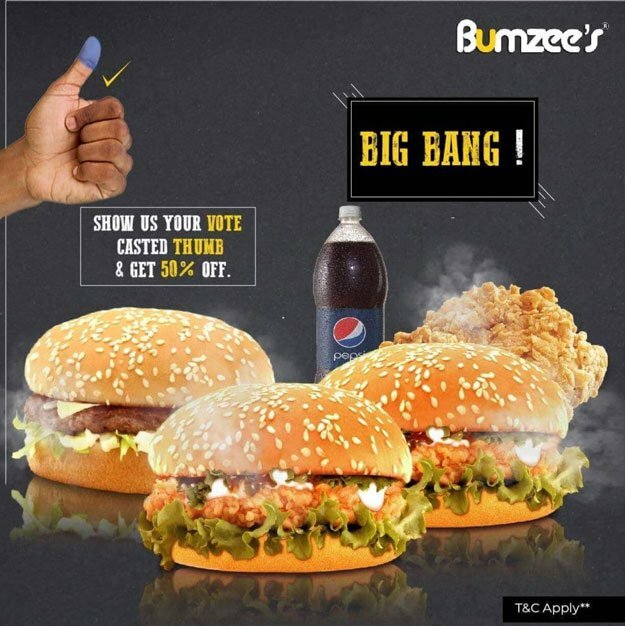 Show us your thumb with your vote casted and get 50% off on Big Bang Saver. 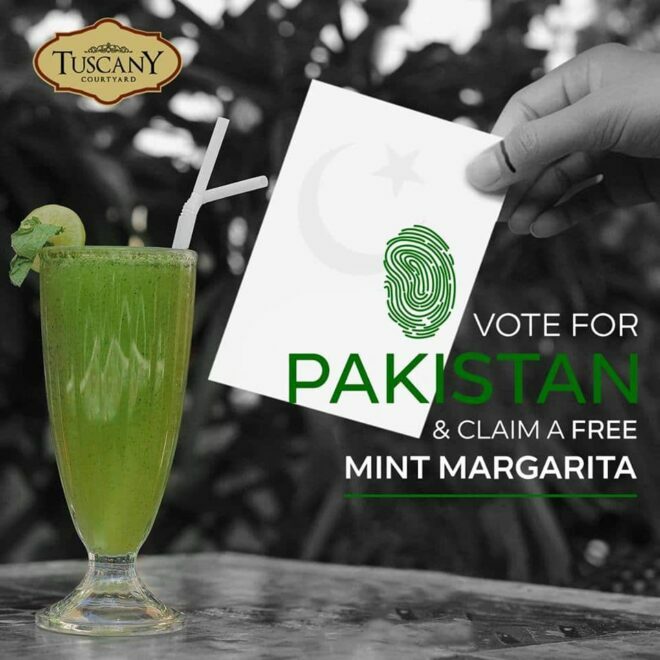 Show us the voter’s ink mark and avail a Free Mint Margarita with any meal on Election Day, only at Tuscany Courtyard, Lahore. 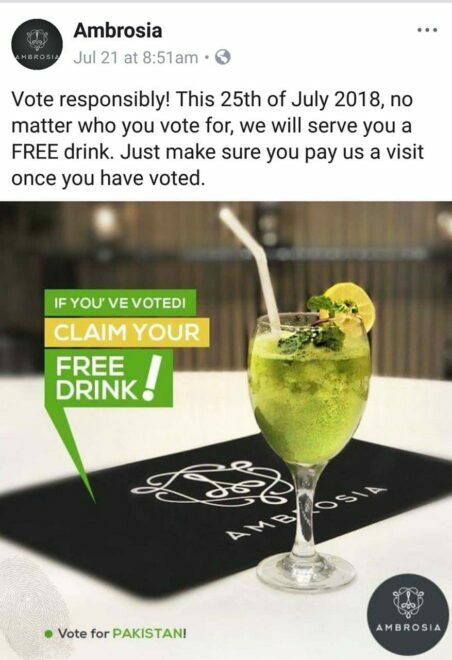 One vote can get you a 10% off. 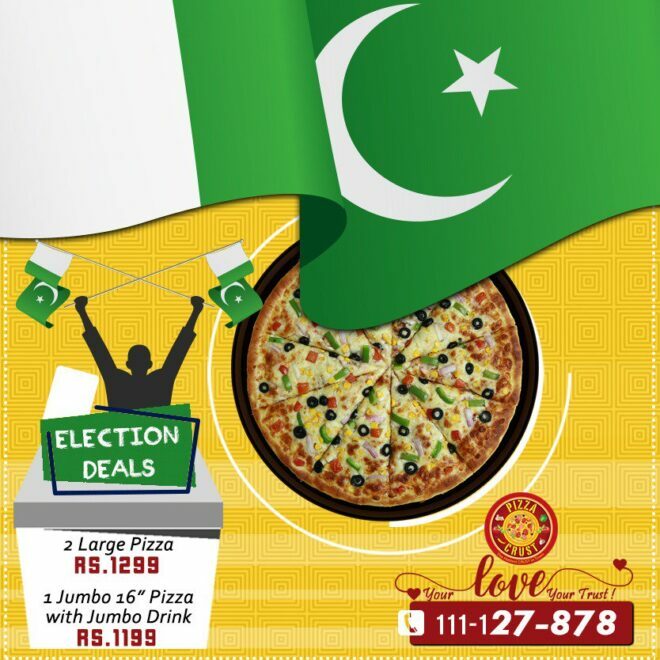 Fulfil your responsibilities as a voter and get 15% off on Amiamo Gelato!